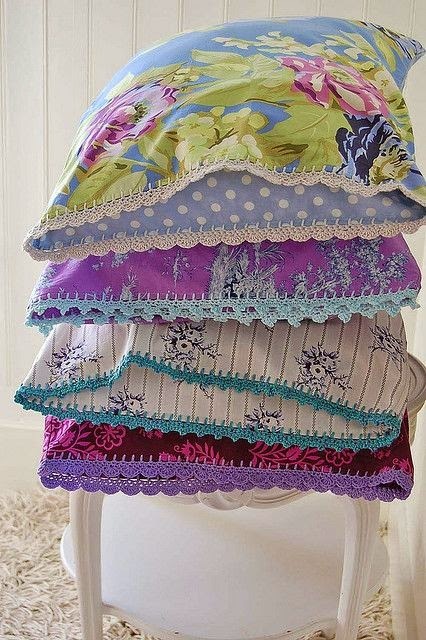 Found on Pinterest, these colorful pillowcases have charming crocheted edges. Have you noticed that these have become very popular on the Internet? Suddenly they're everywhere. So pretty. 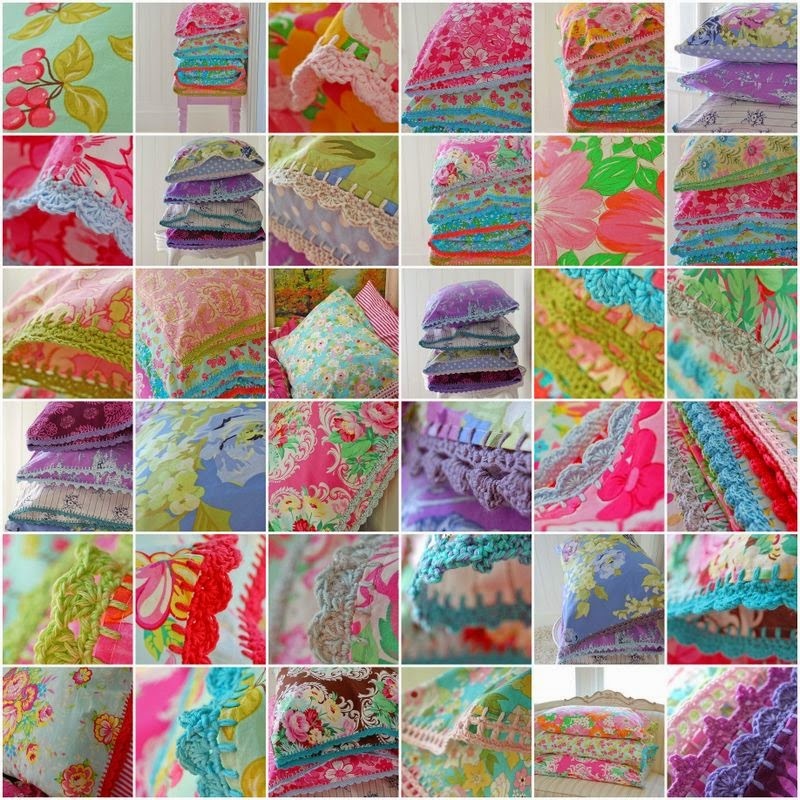 Visit RoseHip for tons of inspiration. I've been pinning these for years but haven't made one yet. It looks like you need a special pointy crochet hook. I need to break down and order one. 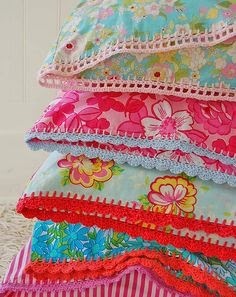 I have a large assortment of thread and plenty of fabric!